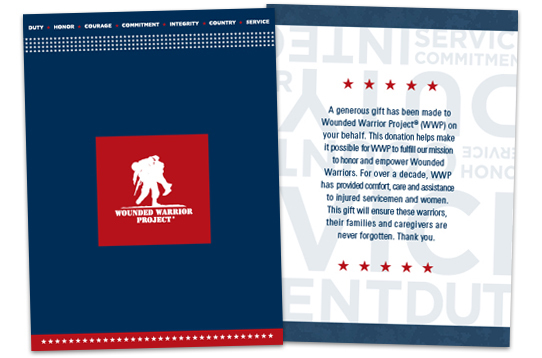 Wounded Warrior Project is a tax-exempt 501(C)(3) nonprofit organization. Your generous, tax deductible donation to Wounded Warrior Project® (WWP) will change the lives of over one hundred thousand injured warriors, caregivers, and family members. 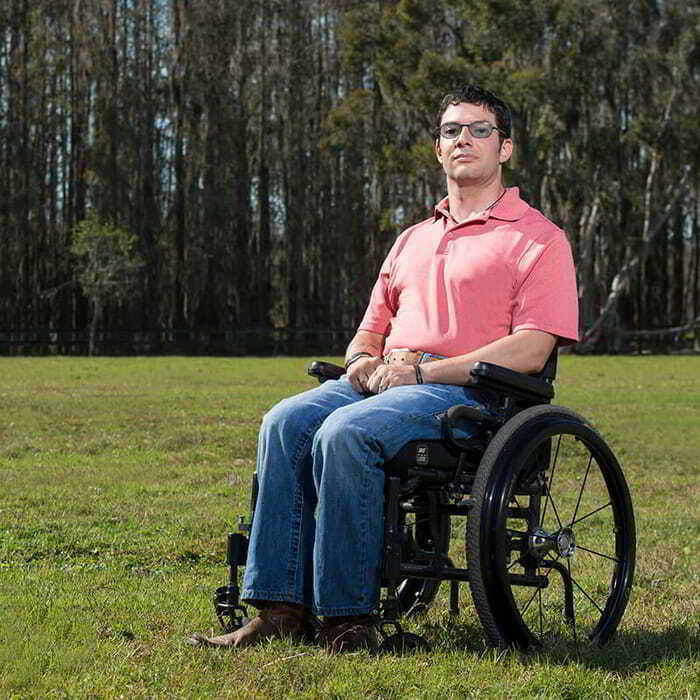 You will help bring independence back to our nation’s most severely wounded veterans. Make this a gift in honor or memory of an individual. 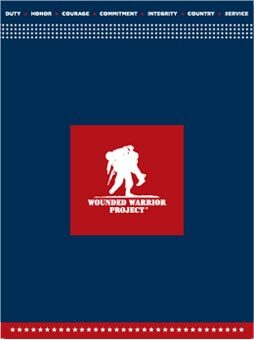 As a monthly donor of $19 or more, you will receive a Wounded Warrior Project® (WWP) fleece blanket. Please allow 4 - 6 weeks for delivery of your blanket. Yes, I would like to receive communications from WWP with updates on warriors and programs. Uncheck if billing address is not the same as donor address. Mail an acknowledgement of my donation. You can receive a card that you can give to the honoree. Note: Your email confirmation will also contain a link to a page where you can download and print a card. Please send me a card that I can give to my honoree. Select the number of cards below. * You can get one card for every $10 donated. * Cards take 2 - 3 weeks to arrive. sent to the mailing address shown above. By clicking donate, your gift will be processed. the email address you provided.